A bit more than 80 days until the RunDisney Tinker Bell Half Marathon. And today the RunDisney team has unveiled the medals for the participants to the various races during the May11th to May 14th 2017 weekend. Disney has teamed up with Pandora Jewelry to design the Half Marathon medal. At the moment registration is still open for the Tinker Bell Half Marathon. 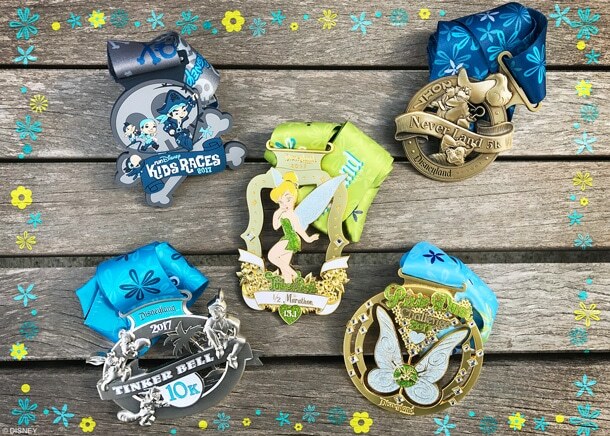 Spots are also still available for the Pixie Dust Challenge that combines the 13.1-mile Tinker Bell Half Marathon PLUS the 6.2-mile Tinker Bell 10K.